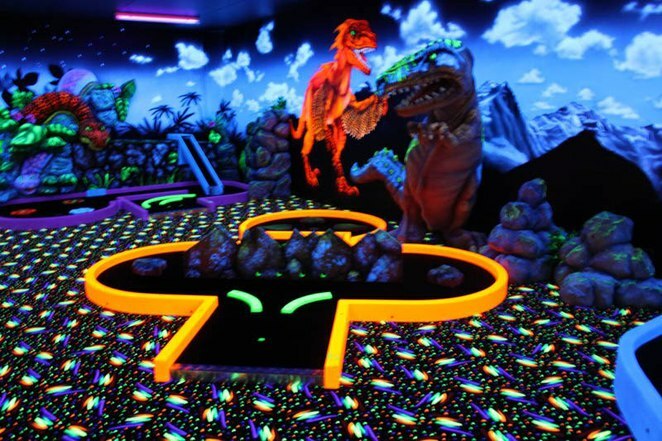 Mini golf is the perfect way to while away some time with friends and family. I've had a long time love of golf on this smaller scale, and now enjoy going with my little family. Small kids enjoy whacking the ball and seeing where it goes, and as they get older they'll enjoy the challenge and fun that the creative courses include. Sans kids, it's a great game to play with friends too, and a little bit of competition never hurt anyone. If you're seeking some more suggestions of where to play mini golf in Perth, here are five suggestions for when you're out and about around Perth and beyond. 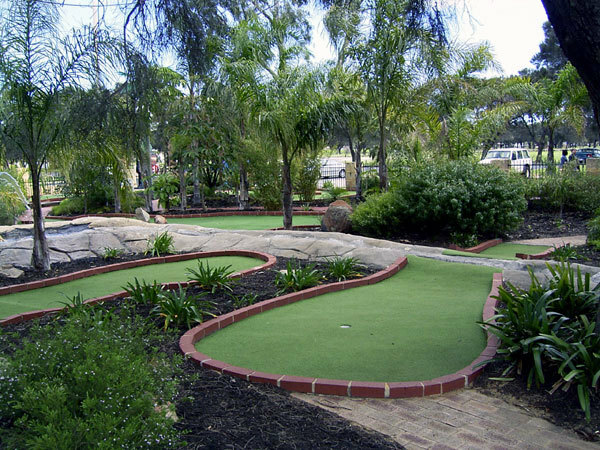 This fun 18 hole course is located within the Great Escape area of Hillary's Boat Harbour, and features lots of colourful scenes to putt your ball through, and some surprises along the way. This is a really popular one with kids, and it does get extremely busy during the school holidays. There is some shade but on a sunny day, make sure you bring your sunscreen. 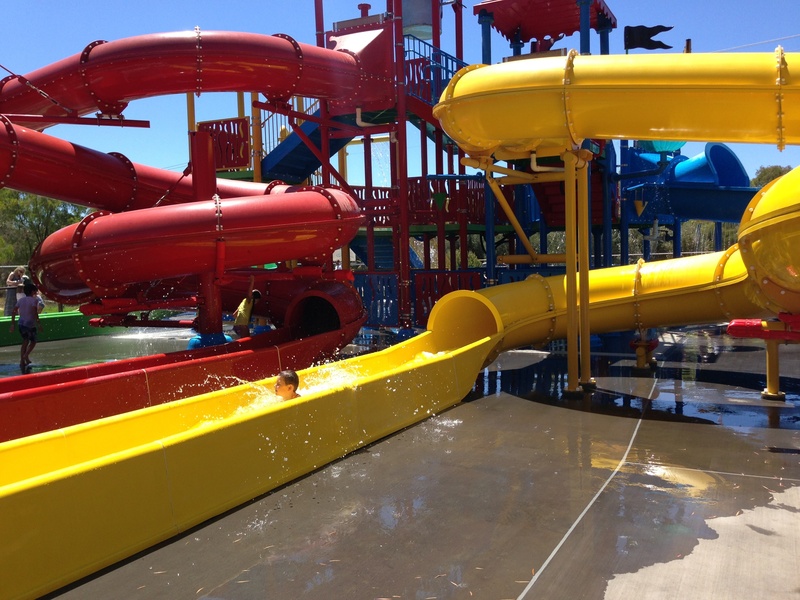 Entry to the mini golf is included in the price of an all day pass ($21.50) which also gives you access to the array of attractions on offer including water slides, trampolines, climbing structures, rock climbing and a ropes course to name a few. If only kids are playing, spectators (parents) don't need to pay. Xscape at the Cape is a perfect place to while away some time if you're visiting the Dunsborough region. It is packed with lots of fun for the whole family, including an 18 hole course that offers some great challenges to test out your golfing prowess. Look out for some surprises on the way too. Entry to the Wacky Putt Jokes n Pranks on its own is $12.50 but if you want to make use of the other fun activities in the park, then the combo ticket is the way to go. Check out the array of pricing options here, and remember that kids under four are free with a paying adult. 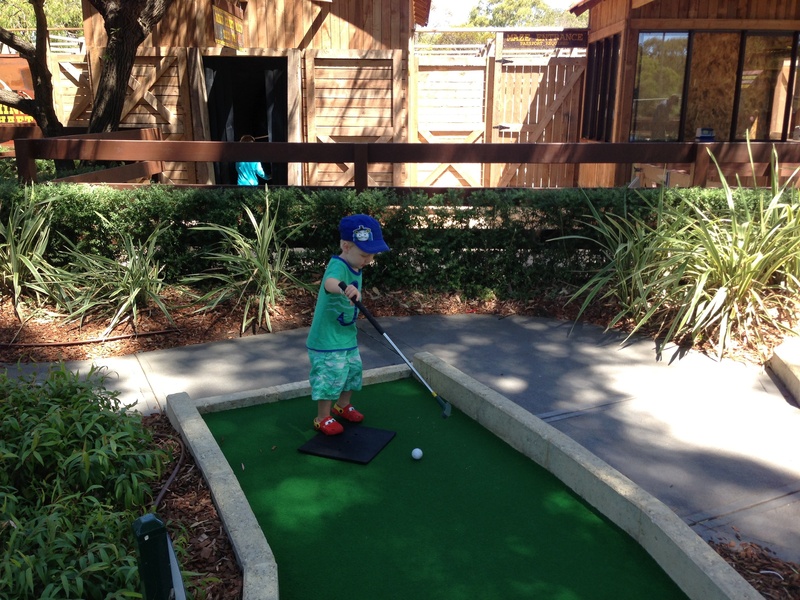 Head on down to Mandurah for a game of mini golf within the fun filled King Carnival complex on the Mandurah estuary. If you only want to play mini golf, the standalone prices are $13 for adults, $11 for children, or a family pass for $37.50 (2 adults and 2 children). 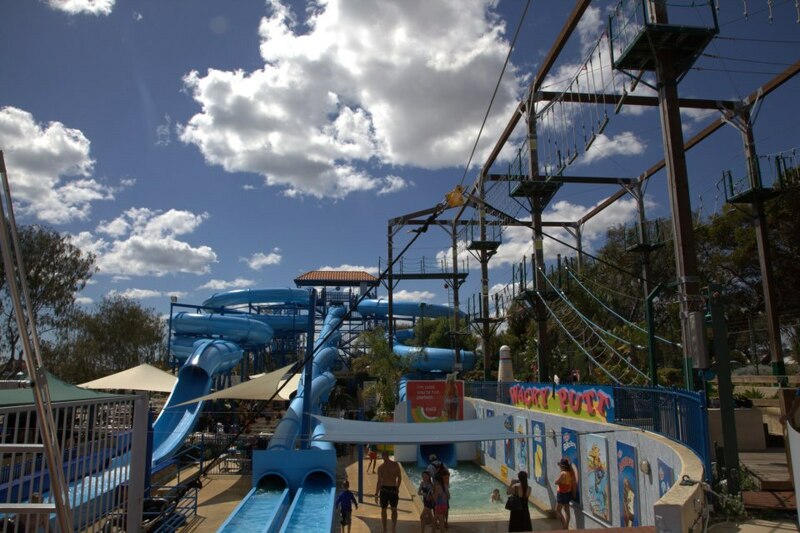 If you are staying in the complex and want to go on rides, trampolines and other fun activities, then you simply purchase extra tickets for whatever you want to enjoy. If you're planning on going on everything and spending some serious time at King Carnival a good idea is the bundle of 50 tickets for $100, which would make rides on the ferris wheel, train and tea cups only $4 a person. The course at King Carnival is a well landscaped course with water features and plenty of opportunities to get your ball trapped in and around the challenging holes. 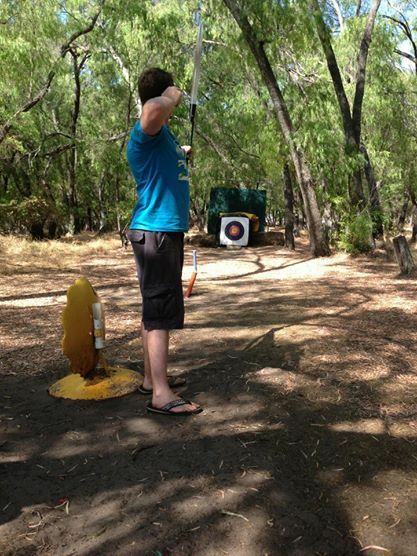 Another great little mini golf venue if you're heading down south is the Archery and Family Fun Park near Bussleton. If you're taking kids with you, this is ideally one for kids aged five and over as then you can combine the activities of archery and the surprisingly challenging nine hole golf course. For the archery you are given brief tuition by the instructor to get you on your way, and then you proceed around the course in a similar fashion to mini golf (complete with scorecard) and try to out shoot your playing partners. It's a lot of fun pretending to be Robin Hood. The nine hole golf course is under a great shaded area, and whilst it looks simple enough, the humble course actually poses a fair number of tricky challenges. If you're wanting a bit more fun at the park, give the Ozzi Bugs a try too. These are small zippy electric cars where you can race your friends to the finish line. 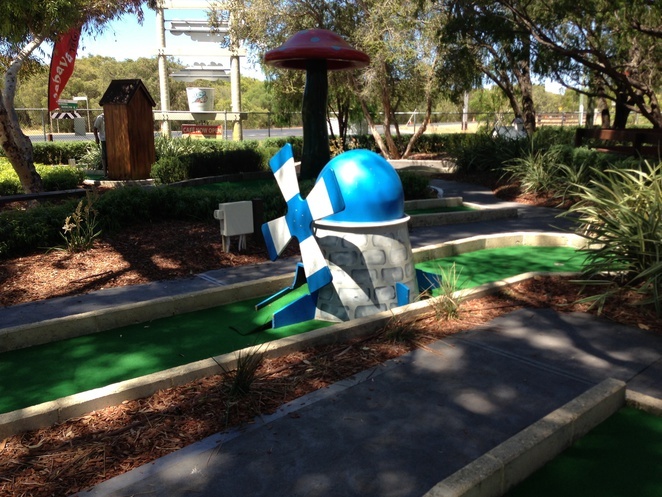 Where do you enjoy playing mini golf in Perth? Let us know your favourite venue. The Triassic Fun Park is an odd design. It looks very futuristic, but is all about dinosaurs.